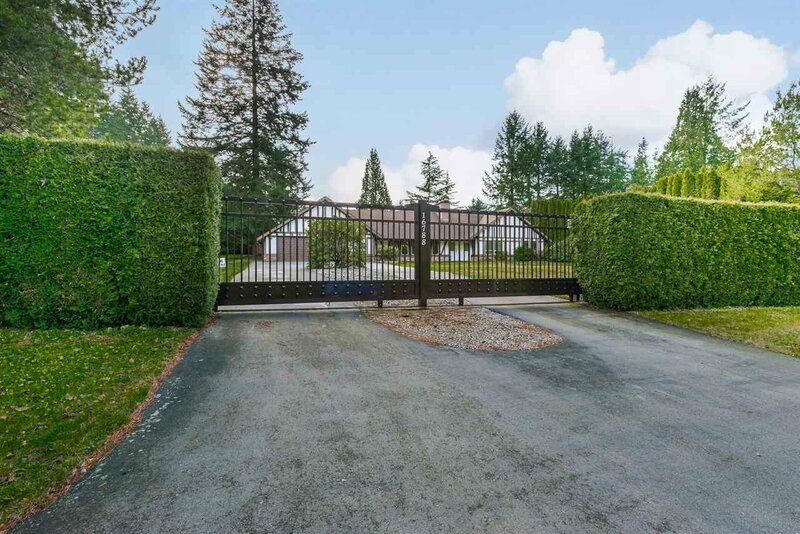 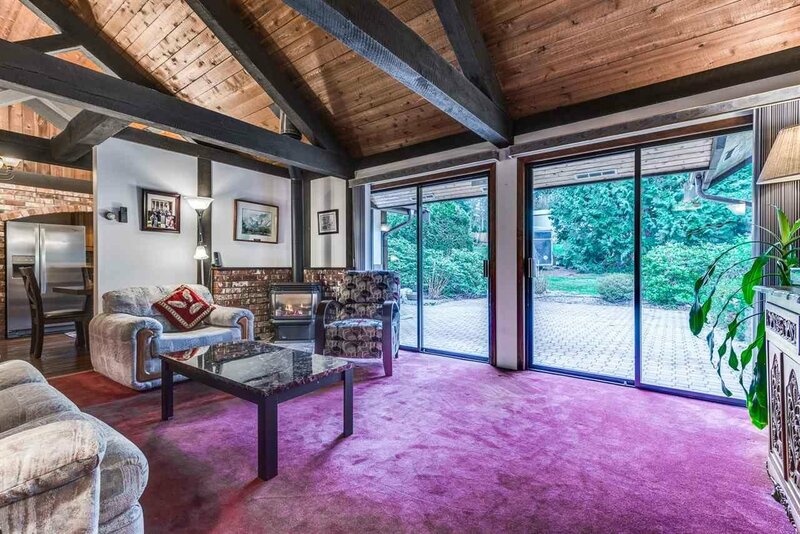 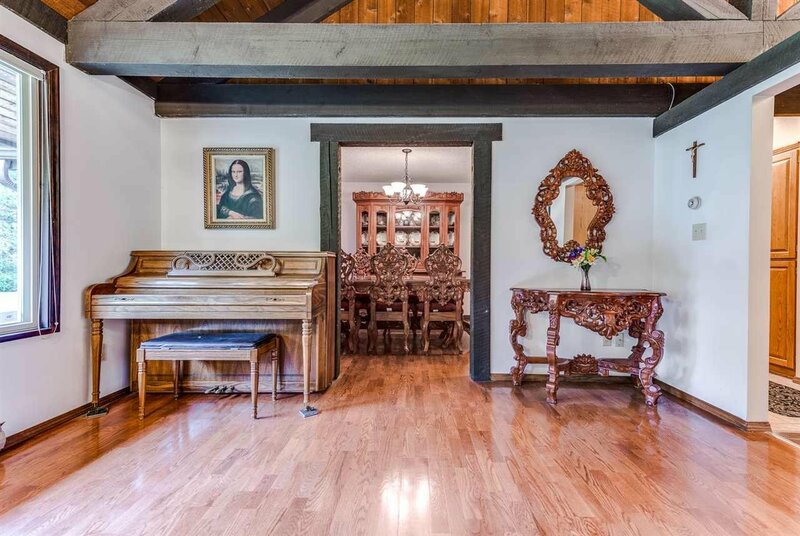 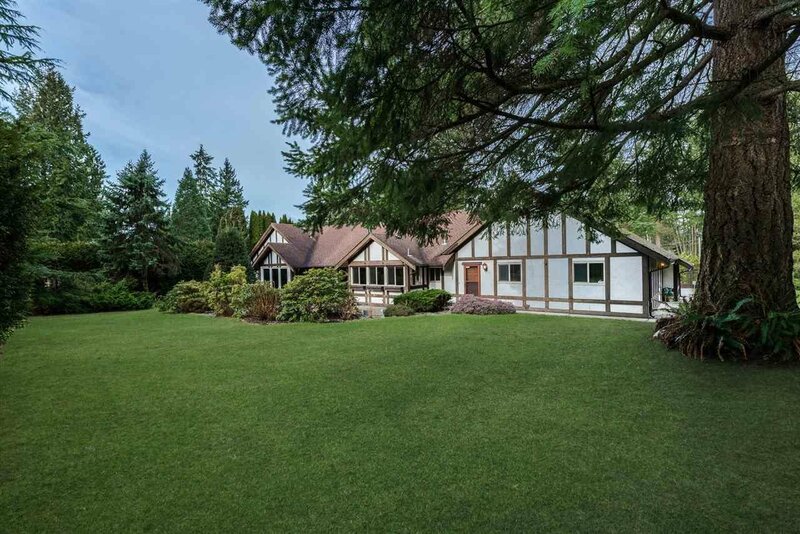 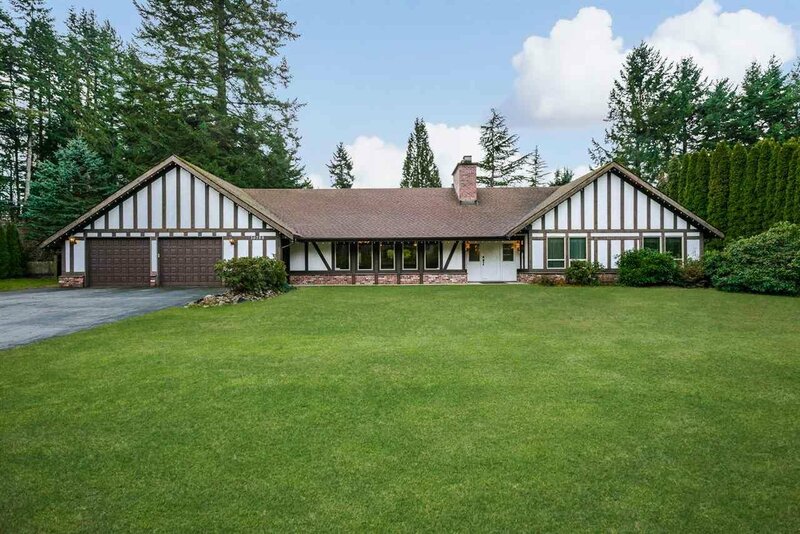 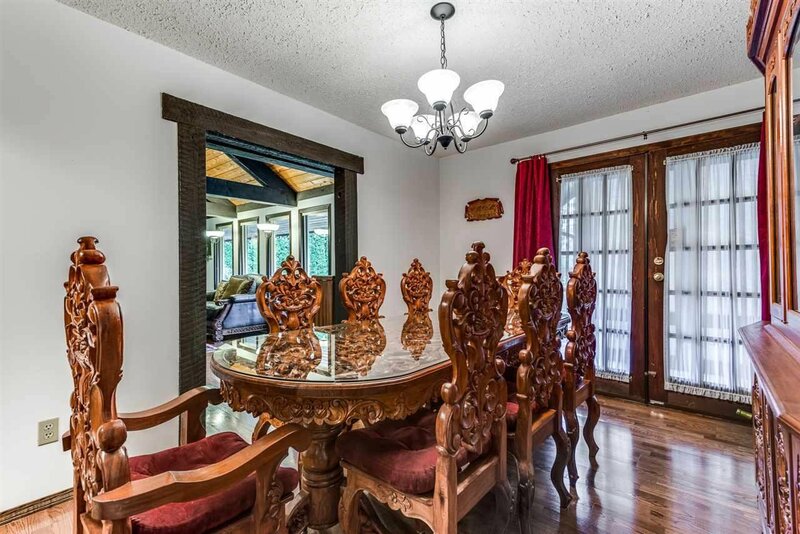 This south facing "Tudor style" updated 3 bedroom with den rancher has stunning curb appeal is located in the prestigious Grandview heights area in South Surrey. 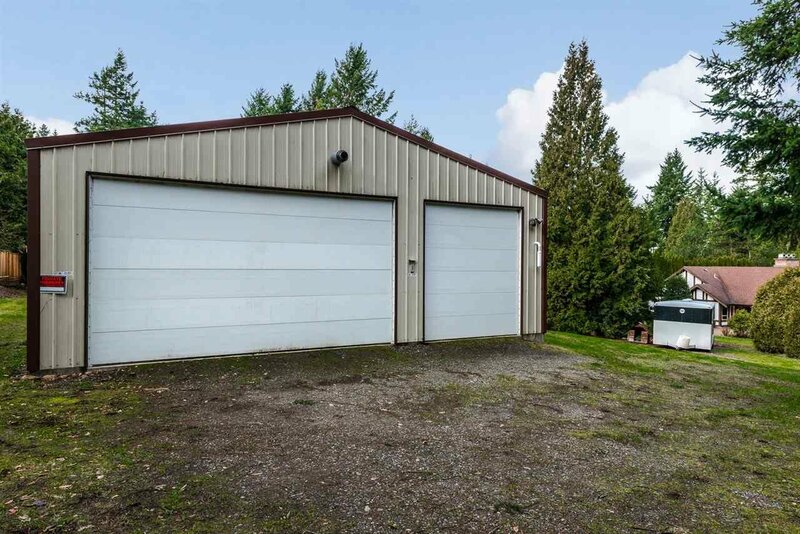 This corner lot is over one acre and includes a "BONUS" 30' X70' (2100 square ft.) separate shop/garage fully insulated and heated. 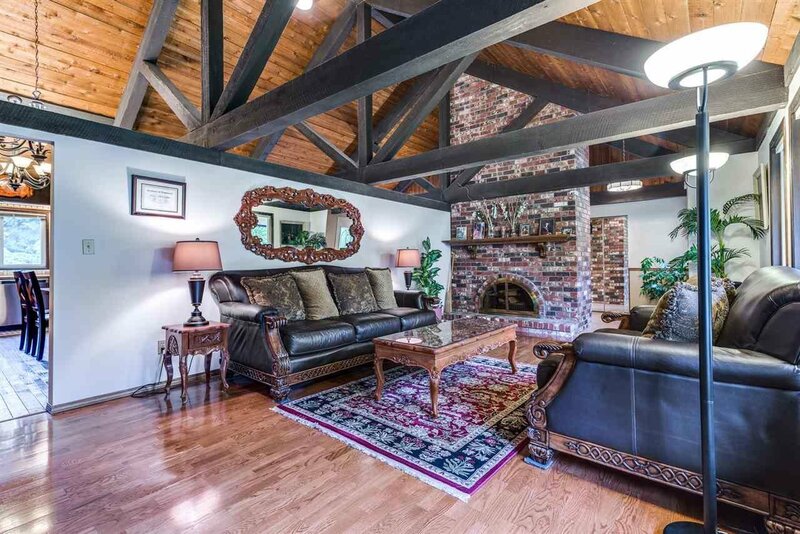 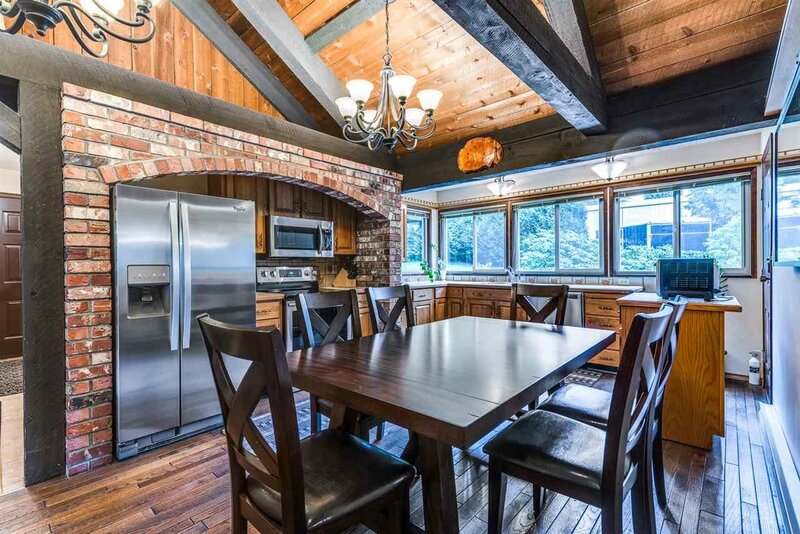 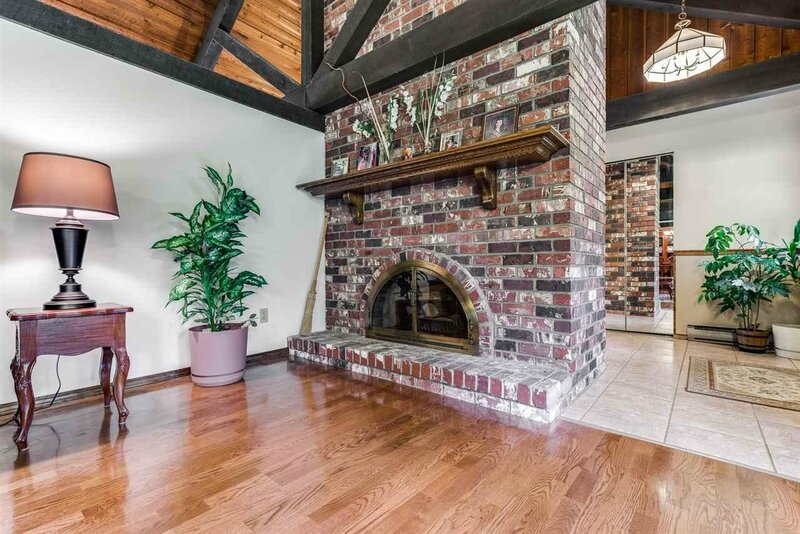 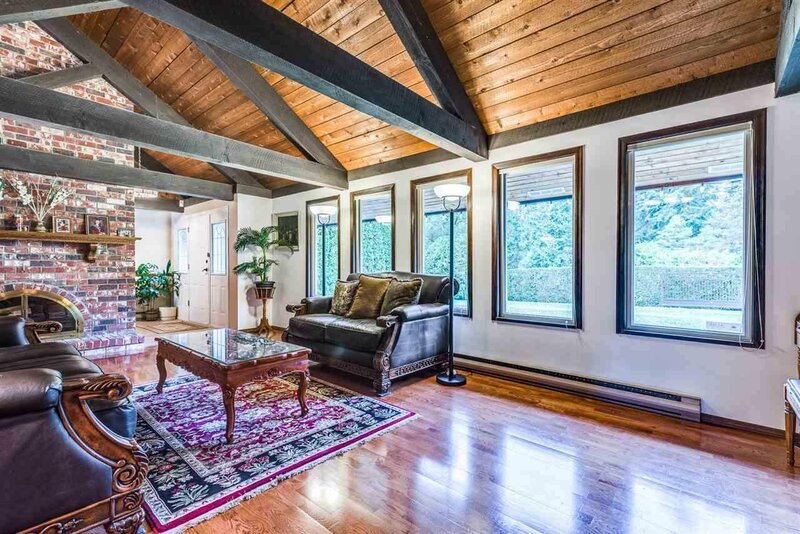 Home features cedar vaulted ceilings with post and beam construction. 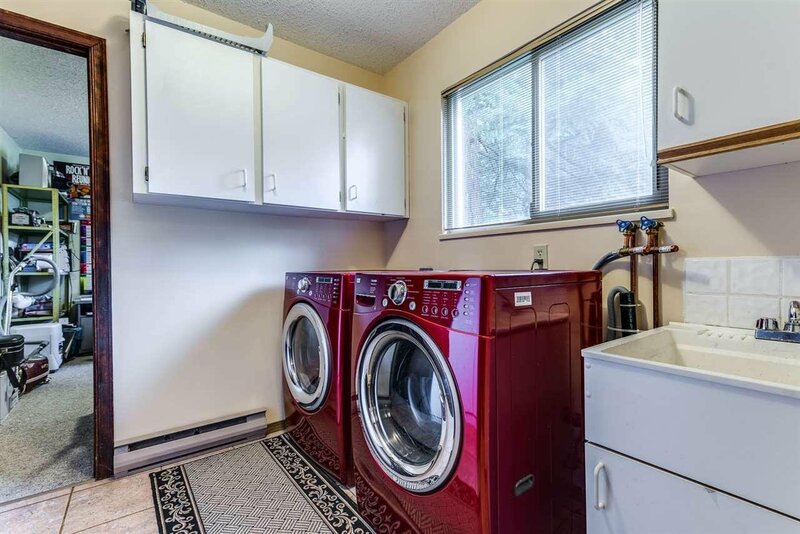 Updates that include newer windows, hardwood/tile flooring with a large open kitchen having brand new stainless appliances. 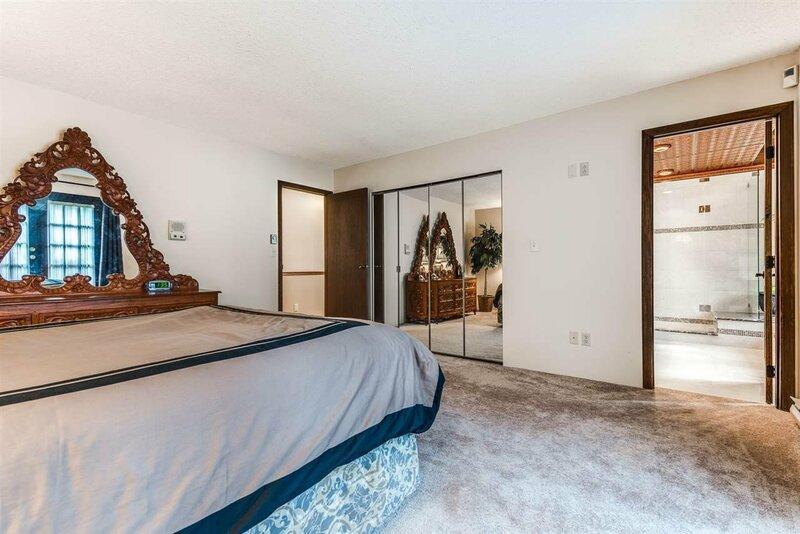 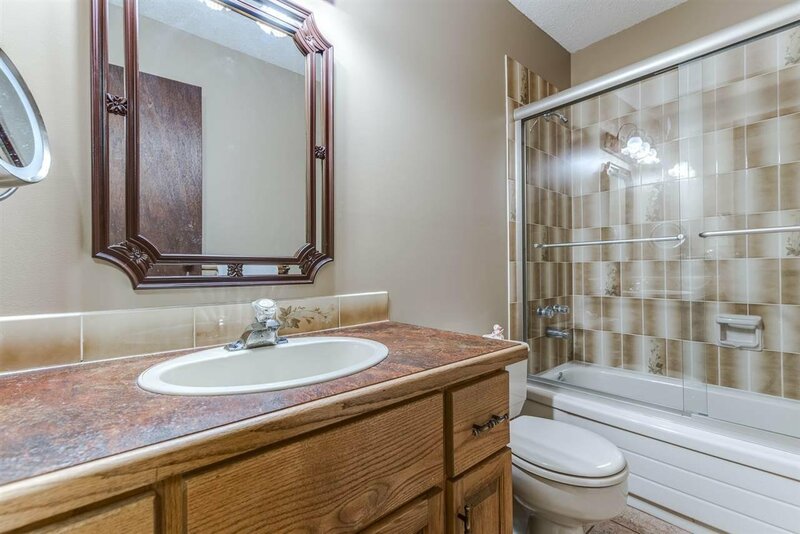 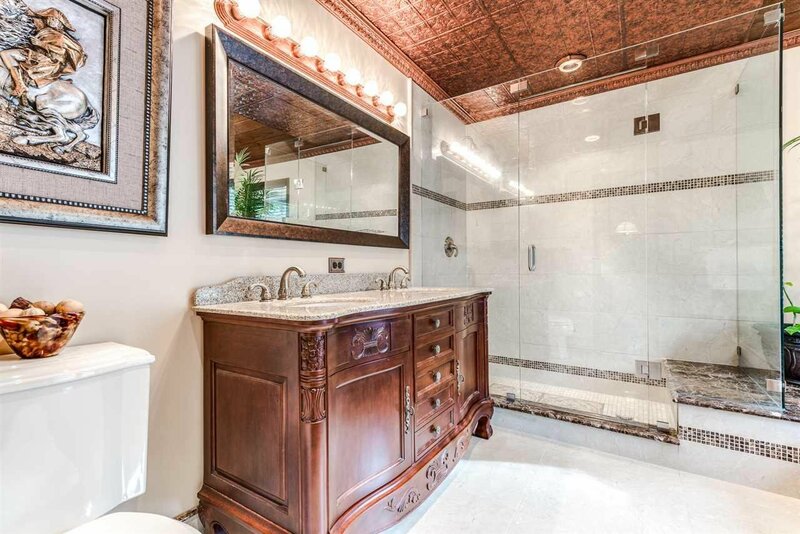 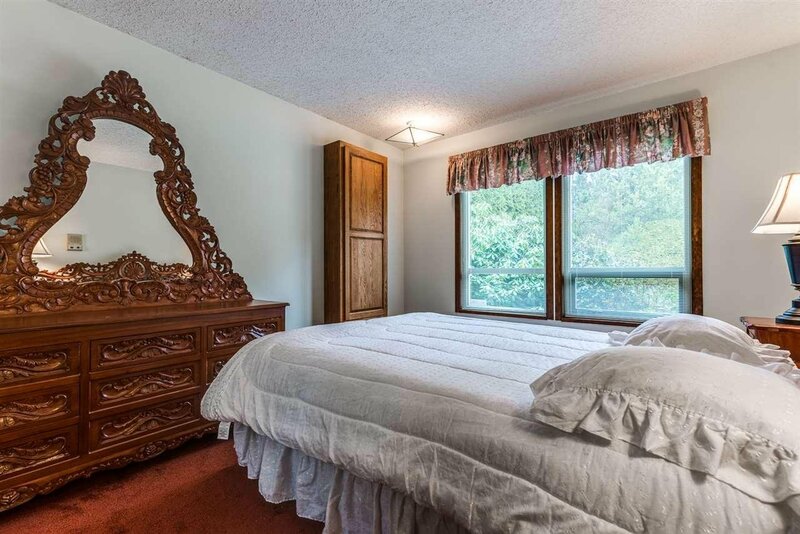 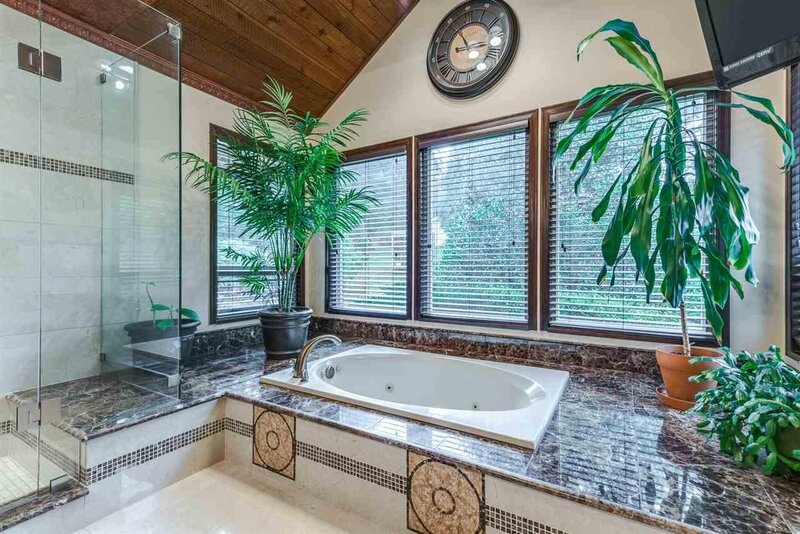 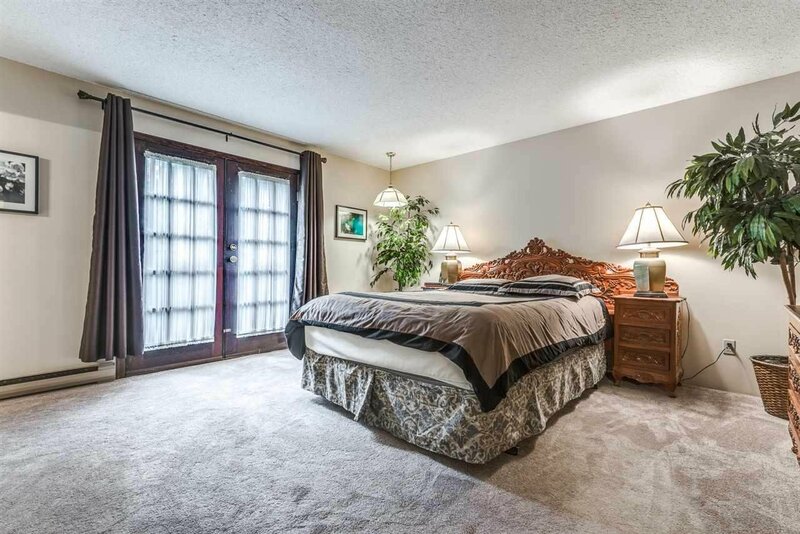 Spacious master bedroom with large walk in closet incudes an incredible, marble tiled ensuite. 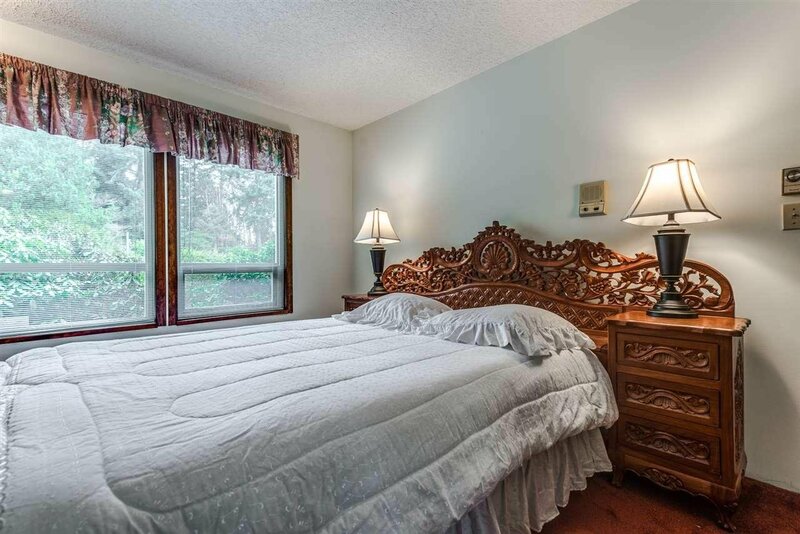 Close to South Ridge school, shopping, and the new recreation pool & fitness center. 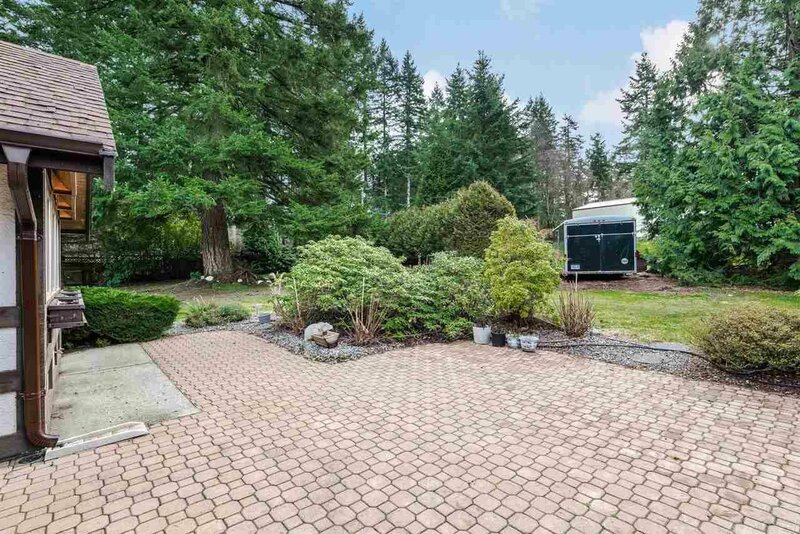 It's great a property for possible future development.